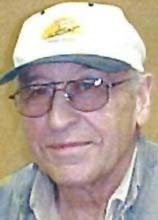 WATERLOO — Lawrence E. Barry, 80, of Waterloo, died Monday, July 23, 2012 at Allen Hospital. He was born Feb. 27, 1932, in Waterloo, son of Edward and Elizabeth Kuhn Barry. He married Martha Wall on Aug. 20, 1956, in Clarksville, Tenn.
A U.S. Army veteran, Mr. Barry farmed in the Fairbank and Sumner area, then was employed with the Chicago Northwestern Railroad (Union Pacific Railroad) until retiring. He later became a bus driver with the Waterloo Community Schools. Survived by his wife; three sons: William and Michael S. (Rose), both of Waterloo, and Richard of Oelwein; three daughters: Teresa L. (Randall) Meyer of Waverly, and Angela (Ted) Gamerdinger and Barbara (Brett) Walters, both of Waterloo; 10 grandchildren; five great-grandchildren; two brothers, James (Donna) of Rice Lake, Wis., and Lee (Janet) of Janesville, Minn.; and three sisters: Elaine Barry of Clarence, Rose Tapia of Baltimore and Kathleen (Wayne) Busch of Ankeny. Preceded in death by: an infant sister. Services: 10 a.m. Friday at Queen of Peace Catholic Church, Waterloo, where full military rites will be conducted by Evansdale AMVETS Post 31, Waterloo AMVETS Post 19 and the Iowa Army Honor Guard. Burial will be at 1 p.m. in St. Francis of Assisi Cemetery, Fayette. Visitation from 4 to 8 p.m. Thursday at Hagarty-Waychoff-Grarup Funeral Service on West Ridgeway, where there will be a 7 p.m. vigil service. Visitation also an hour before services Friday at the church.